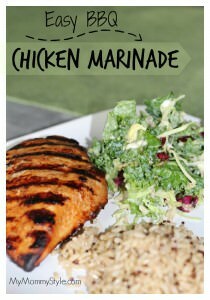 I was in the mood for a quick and easy grilled recipe the other night that wasn’t chicken or hamburgers. Not that I don’t love chicken and hamburger, because I most certainly do. I just wanted something a little different and it’s been awhile since I grilled a pork chop. This recipe was a hit with the whole family and it was so easy. 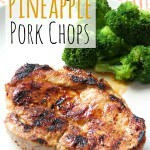 It only needs a few ingredients for a sweet marinade that will make your pork chops sing…okay, I don’t really know what that means, I just know the pork chops were amazing! In a small bowl combine pineapple, honey and dijon mustard; reserve 1/2 cup of marinade. Cover and refrigerate reserved marinade. Pour remaining marinade in a large resealable bag. 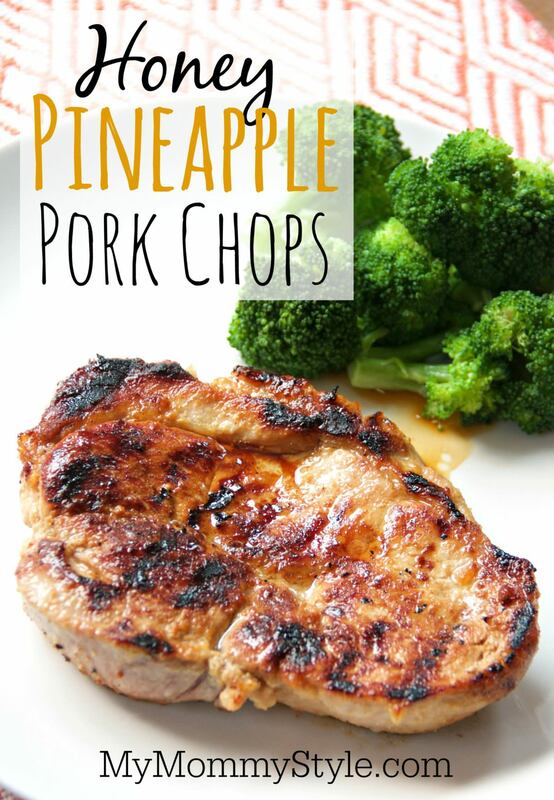 Sprinkle pork chops with salt and pepper and add to the bag with pineapple marinade. Marinate for 4-24 hours. Remove from marinade and cook over medium-high heat on greased grill until brown and no longer pink in the middle. For pork chops that are thicker than 3/4" grill 6-7 minutes per side. For chops that are 3/4" or thinner grill for 5-6 minutes per side or until cooked through. Brush on reserved marinade a few times during grilling.